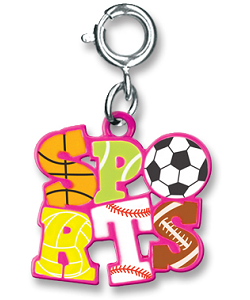 Proudly display your love of sports with this fun CHARM IT! Sports charm. With each letter of SPORTS featuring a different game - basketball, tennis, soccer, volleyball, baseball / softball, and football - this creative CHARM IT! 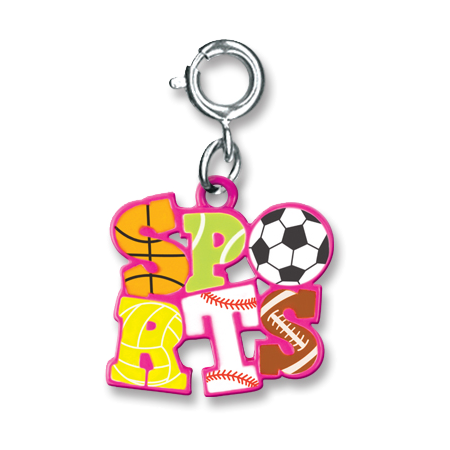 Sports charms lets you add a splash of sports fanatic to your charm bracelet or charm jewelry with the simple snap of the clasp. Your basketball star's winning spirit is sure to shine through with this fun I Love Hoops charm.